Remove the instrument cluster assembly. Refer to Instrument Cluster Replacement. Remove the instrument panel center upper molding. 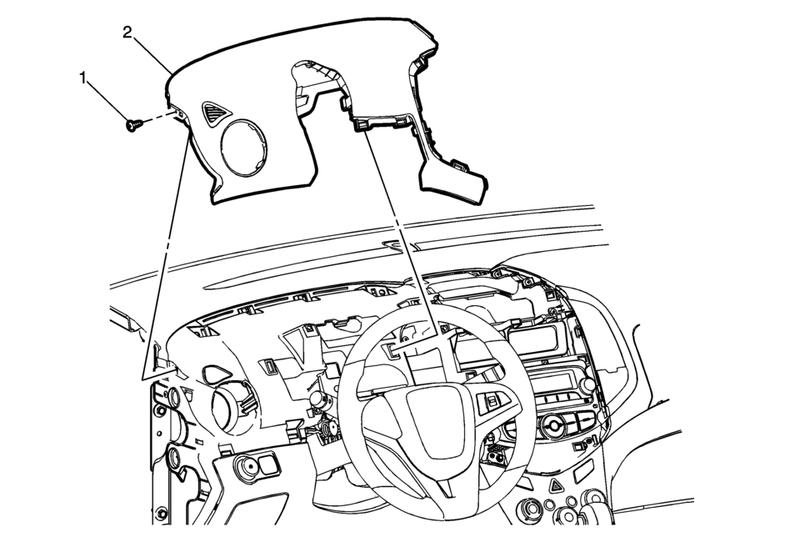 Refer to Instrument Panel Center Upper Molding Replacement. Remove the left instrument panel accessory upper trim plate. Refer to Instrument Panel Accessory Upper Trim Plate Replacement. Remove the left instrument panel outer trim cover. Refer to Instrument Panel Outer Trim Cover Replacement. Use a flat bladed plastic trim tool in order to disengage the retainers securing the upper trim panel to the instrument panel assembly. When replacing the instrument panel upper trim panel, transfer all necessary components.